Hi everyone. Another cold day but at least the sun is shining (at the moment !!) These are two new designs I did yesterday. 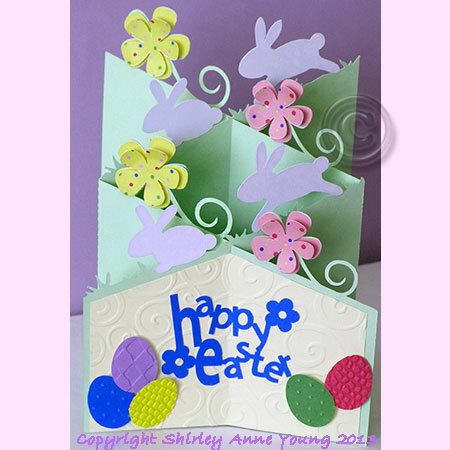 The templates are available here on my website. I used the same flower on both cards just because I like it. I coloured the leaves with a Promarker and used a watercolour pencil to add the detail to the flowers then curved each petal with my fingers to give some dimension. Hi everyone and welcome to my new followers. Horrible day here today, keeps trying to snow and is very cold so I have stayed in and spent my afternoon doing some new designs. 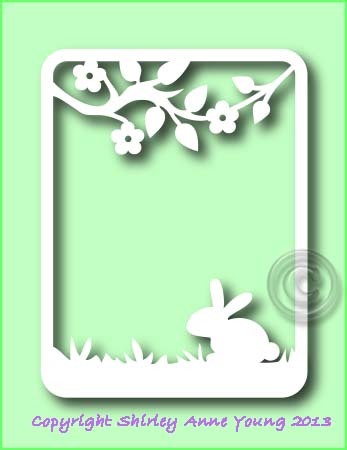 I thought this little Bunny frame would be nice for Easter cards. If you download the file please leave me a comment. Hi everyone, hope you are all having a nice weeked. Easter will soon be upon us so have just finished this Bunny Cascade card. The photo isn't very good as the weather is terrible here and I just can't get a good photo without shadows. 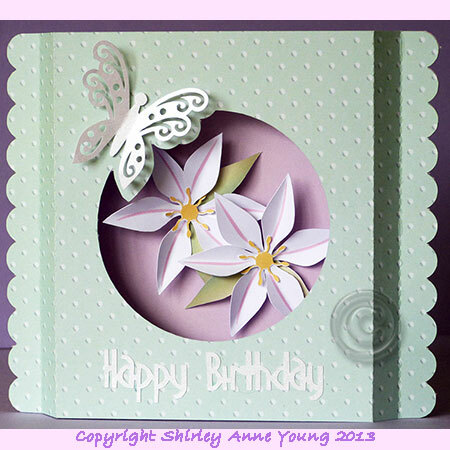 Here's a freebie aperture card for you which I designed to compliment the flower border freebie I posted recently. Hope you'll let me know if you like it. Have included the border in the file for convenience even though I posted it before. Please leave a comment if you download it. Thanks and enjoy. Hi everyone. I'm back from holiday know but had a busy few days catching up with everything. I see I have some new followers both here and on Facebook so welcome to you all. 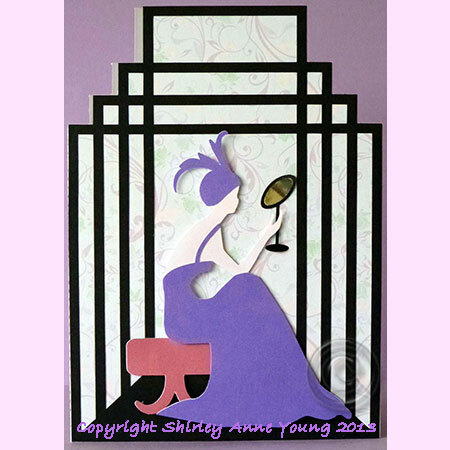 Before I went away I entered this card in to an Art Deco challenge at Craft Creations and imagine my delight when I got back home to find it had been selected as a runner up and I had won a prize.